December 28, 2011 was a beautiful, clear, warm day in Charleston. We planned a private tour of some of the beautiful homes with Charleston Tea Party Private Tour. Well Laura is the best guide and hostess you could hope to find. We had a simply wonderful tour, which included a special breakfast at the first home we visited, learned history of Charleston from a native’s viewpoint with many unknown facts and tidbits. The tour lasted all morning; then we were treated to an elegant, delicious Tea at Laura’s home overlooking the Ashley River. We also enjoyed a special treat of home made plum pudding. The cost was well worth paying for such a special day we will never forget with a delightful hostess and her family. Wonderful! Outstanding! Exceeds expectations! None of these words can describe how Joe, Nancy, Doris, and I feel about our recent tour. Being men going to a tea tour concerned Joe and me , but we were totally amazed and so interested in the tour that we certainly enjoyed it as much as the ladies. Thank you for making our trip one that we will always remember. My wife and visited Charleston for the first time in October 2010. We fell under the southern charm of Mrs. Laura Wichmann Hipp during her Charleston Tea Party Tour on our first day there. We quickly felt we were visiting with a close friend we have not seen for a while as we toured with Laura dressed in her wide brimmed straw hat and flowing skirt. We visited elegant homes, gardens, and haunts in and around this historical and beautiful city. Laura’s love of the history and charm of this place was so easily shared. We felt at home. Our conversation and laughter flowed on and on. We enjoyed the most delicious low country lunch with Laura at her home overlooking the Ashley River at the conclusion of our tour. (We think that Laura may be a for real throwback reincarnation of a circa 1850s Charleston southern belle!) 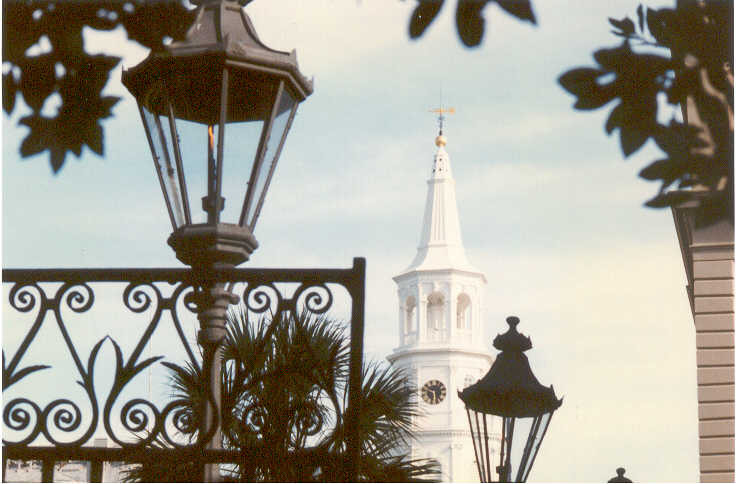 If you are visiting Charleston, do not miss the Charleston Tea Party Private Tour for a real treat. We can only say that we will call upon Laura as a new friend when we next visit Charleston.